The Bill Bateman’s Bistro logo says that they have the best wings in town. That’s a bold statement in a city that loves its wings, but the restaurant’s devoted fans might just agree. Bill Bateman’s Bistro has a few locations throughout Maryland, as well as their popular spot in M&T Stadium. Each restaurant has an undeniable sports bar feel, with plenty of TVs for watching the game and pub food to enjoy while you’re doing it. 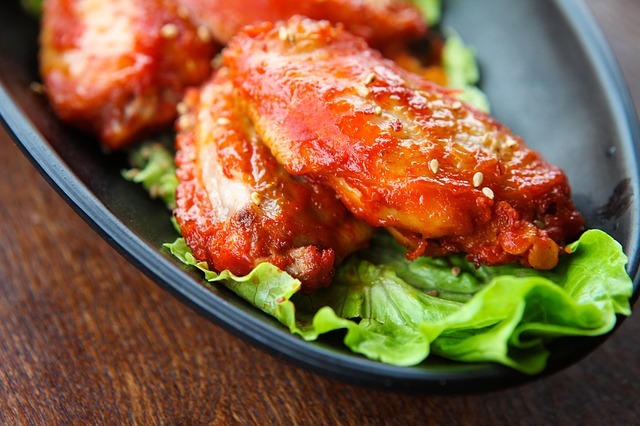 Their signature wings are the boneless variety, and come bathed in almost two dozen different sauces or rubs of your choosing. You can get as few as five in an order, so they are easy to add to your order of angus beef burgers, wrap platters, and entrée-sized salads. Stop in at happy hour for a $6 bar menu and plenty of drink specials, especially on Fridays.